MSP-EXP430G2 is an MSP430 microcontroller development tool released by TEXAS INSTRUMENTS ( http://ti.com ). It is available for a cheap price ie only $ 4.30 and this results in the popularity of this development tool. 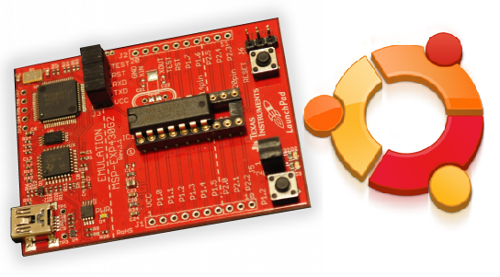 The LaunchPad development kit is a part of the MSP430 Value Line series. LaunchPad has an integrated DIP target socket that supports up to 20 pins, allowing MSP430 Value Line devices to be dropped into the LaunchPad board. Also, an on-board flash emulation tool allows direct interface to a PC for easy programming, debugging, and evaluation. Included are free and downloadable software development environments for writing and debugging softwares. The LaunchPad is an easy-to-use, affordable, and scalable introduction to the world of microcontrollers and the MSP430 family. C - There is a port of the GNU C Compiler (GCC) and GNU Binutils (as, ld) for the embedded processor MSP430. Tools for debugging and download are also available (GDB, JTAG and BSL) More over, nowadays, .deb packages for the development are also available for most of the linux distro. ie no need to compile the tool chain, instead we will get the binary. ASM - For assembly language programming, the best one is naken430asm. I really likes this assembler, it is simpler and easier to do asm programs for naken430asm compared to the msp430-gcc assembler. MSP430G2231 is one of the value line device of the MSP430 series. (MSP - Mixed Signal Processor) To familiarize with the launchpad and the MSP430 in general, I just selected the above microcontroller which comes with the launchpad kit. MSP30G2231 is a microcontroller with 16 bit processor and having von-neumann architecture. It is having a RISC processor with a 16 bit address bus and a 16 bit data bus. One of the most important feature of msp430 is the low power consumption, best for battery powered devices. We can select the power modes, I will show it with examples. 16-Bit Timer_A With Two Capture/Compare Registers. Universal Serial Interface (USI) Supporting SPI and I2C. 10-Bit 200-ksps A/D Converter With Internal Reference, Sample-and-Hold, and Autoscan. Serial Onboard Programming, No External Programming Voltage Needed, Programmable Code Protection by Security Fuse. On-Chip Emulation Logic With Spy-Bi-Wire Interface. I am showing how to use the external 32768 Hz crystal for generating 1 Hz accurate clock pulse from an msp430 launchapad. Also, the mcu takes very very low power while the timer in incrementing upto 32767. Then it enters interrupt service routine and do the job written there and again enters the power down mode. There I have written an LED flashing code which will flash the RED led for a fraction of second. We are not using the DCO clock for the timer, instead we use ACLK clock which is the 32768Hz crystal oscillator. DCO is not much accurate. amazing post, thanks, loving it.